Urban Study are dedicated to providing high quality accommodation in city centre locations across Newcastle-Upon-Tyne, Sheffield and Southampton, designed specifically for students, graduates, and young professionals. EDGE was appointed as Employers Agent, Cost Manager and Principal Designer for the refurbishment of 3 existing buildings, located in Newcastle city centre. 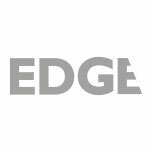 EDGE provided its services from inception through to completion of all three projects including feasibility reporting, cost planning, tender analysis, production of tender / contract documentation, valuations, change control, cost reporting, programme management, contract administration, progress reporting, risk management and the management of any defects.